South African President Cyril Ramaphosa has dismissed claims that Beijing is plotting to turn the African continent into a colony through massive investment. Speaking at the triennial Forum on China-Africa Cooperation on Monday, Ramaphosa insisted that the gathering "refutes the view that a new colonialism is taking hold in Africa, as our detractors would have us believe," AFP reports. He made the statement after Chinese President Xi Jinping vowed to pump $60 billion into the continent. Speaking in Beijing, the Chinese leader detailed that the package includes $15 billion in grants, interest-free loans and concessional loans, a credit line of $20 billion, a $10 billion special fund for China-Africa development, and $5 billion to fund imports from Africa. In addition, he pledged that Chinese businesses will be encouraged to invest at least $10 billion in Africa in the next three years. Another promise was to write off debt for poorer African countries. 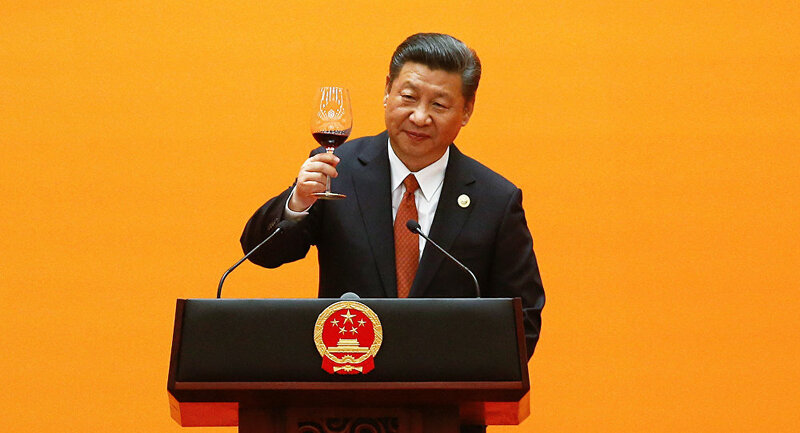 China's pledge makes part of its evolving Belt and Road initiative, first brought forward by President Xi in 2013. This is a development strategy that combines a land-based Silk Road Economic Belt, an ocean-based Maritime Silk Road, and other transportation corridors and logistics hubs stretching from the South Pacific through Asia to Africa and the Middle East. The Chinese government has praised the initiative as a means to connect remote economies and drive renewed prosperity; however, some critics claim that the strategy aims to expand Beijing's spheres of influence by making some countries heavily indebted to China. According to the China-Africa Research Initiative, a Washington DC-based research program, in 2000-2017 China doled out $136 million in loans to African governments and state-run companies, with Angola being the top recipient ($42.2 billion). Chinese loans vary from so-called "official development aid" to export lending and lines of credit for suppliers.